Twitter is a really great tool when it comes to looking up for news or getting updates from your favorite Twitterers. For bloggers, it's an especially good way to build interactions, and get ideas. In our blogging tips, we have countlessly discussed about following other blogs in your niche tio find out what's hot, and what they are doing. This gives you ideas to improve your own blog. But how to find such blogs? More importantly, how to look for people who share interesting stuff that relates to your own niche as well? Here are some tools that we believe could be invaluable to searchers looking for updates and ideas on Twitter. Twitter research should be the very first thing you do when searching for people to follow. Hashtags are a really smart way of finding information. 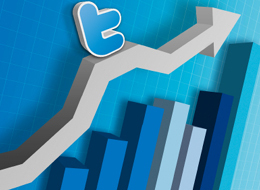 People use hashtags to monitor conversations, and get their tweets listed in results. This also makes tweets publicly available easily. When you search for hashtags, you will get results from bloggers and other people who are interested in your niche. But mostly, you'll find bloggers. And the top bloggers in your niche are usually the ones talking about the niche often. Take a look at what comes up, and follow the people you think have a substantial following. Realtime is a relatively new search engine by Bitly that not only returns results from Twitter, but also other social media. It basically tracks the URLs that has been shortened through Bitly. And since many bloggers use URL shortners, this is a great way to find top influencers as well. Although the project is still in its beta phase, it already is starting to make a mark for itself. FollowerWork comes with SEOmoz PRO. It's another great tool for analyzing user bios, searching, tracking, sorting followers and users. All data is constantly updated, so you will get the latest results. SocialBro has been specially designed for the purpose of discovering influencers based on user-defined criteria. It has full analytics data on followers, social contact, profile management, and more. It is a very powerful tool, but alas comes at a price starting from $6.99. Still, a pretty good tool for power users and analysts. 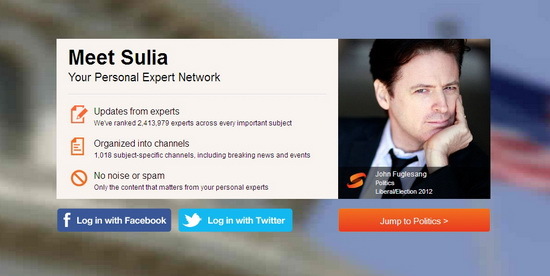 Klout is another very large application that lets you find influential people. it has over 100 Million registered users, and you can find from among them. You can also get listed by signing up with Twitter of Facebook. A very simple application that's easy to use. It has gathered data from millions of users, and ranked the popular ones. You can search for a topic simply and find out the experts on that topic within seconds! This app works on a relatively different concept. Rather than ranking users according to their number of followers and other data, it ranks them based on 'endorsements', or recommendations from others. The idea being, the best way to find out about influential people is through socializing. This is a perfect site for the science geeks out there. It will help you find influential scientists on Twitter. SciencePond has a full list of scientists from Twitter, and whom better to follow than an influential scientist?